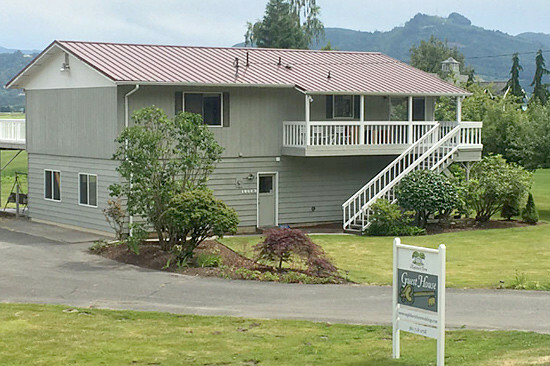 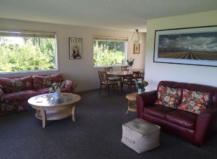 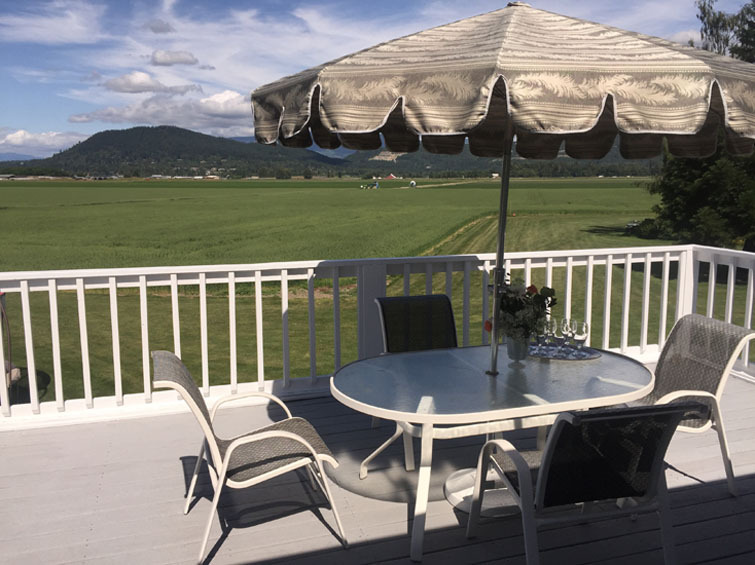 The Maplehurst Farm Guest House is a lovely 2,000 square foot home located just next door to our venue in the Skagit Valley! 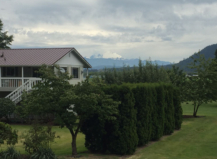 (It’s the first house south of our venue entrance.) 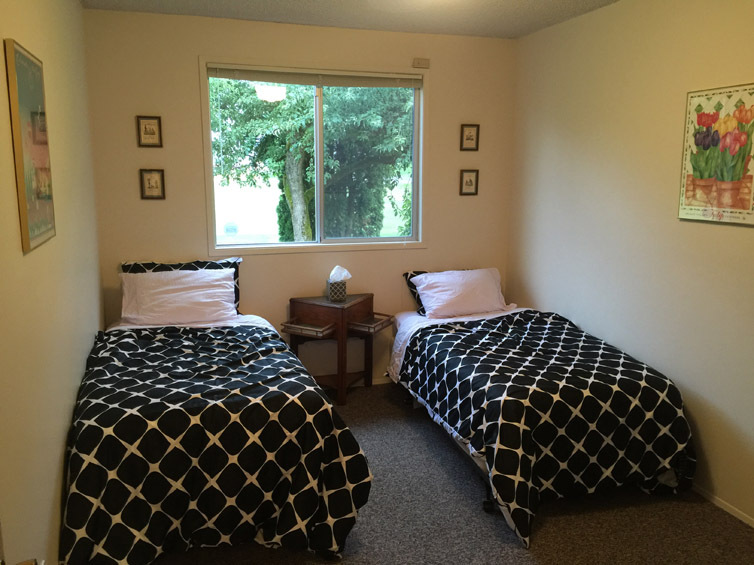 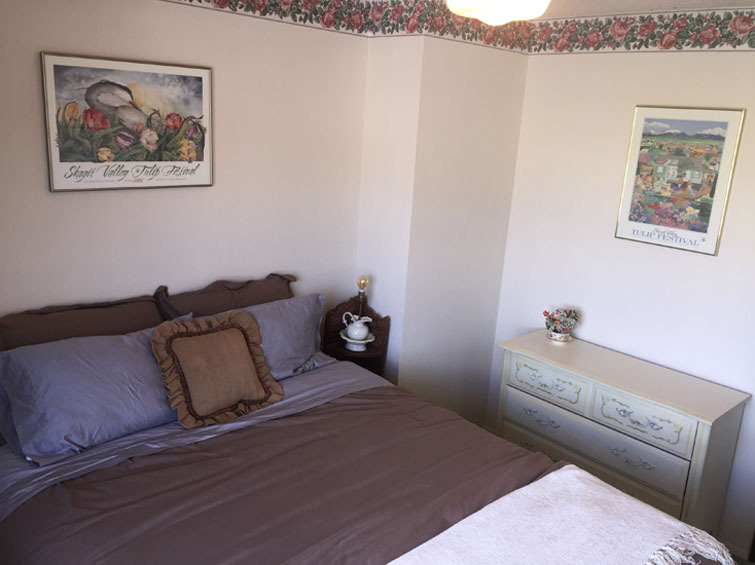 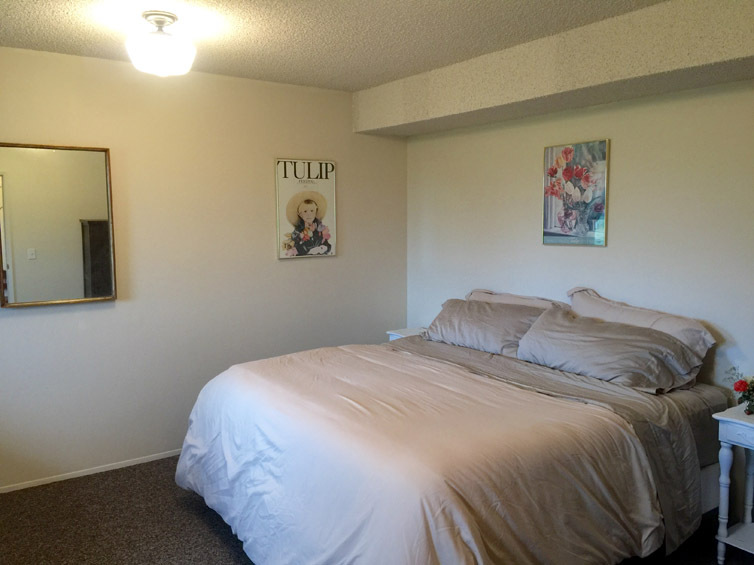 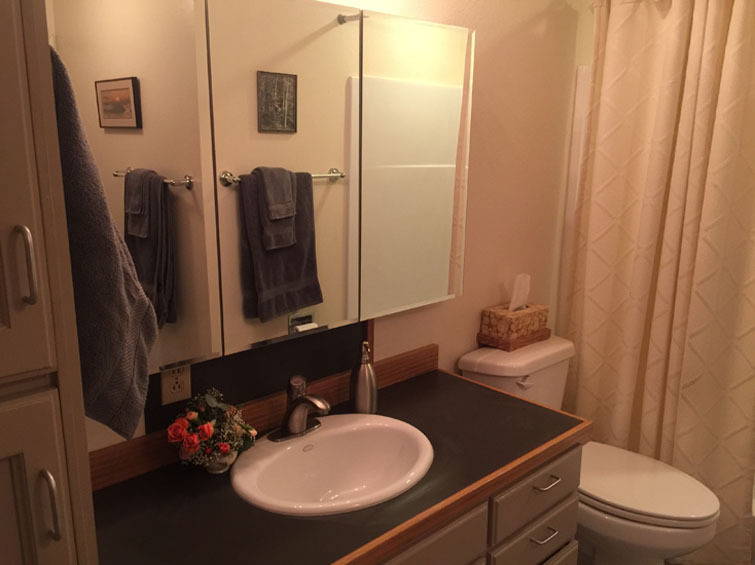 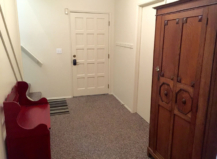 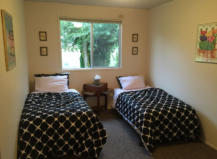 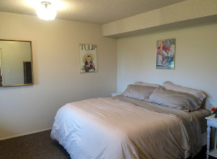 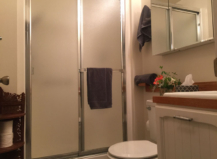 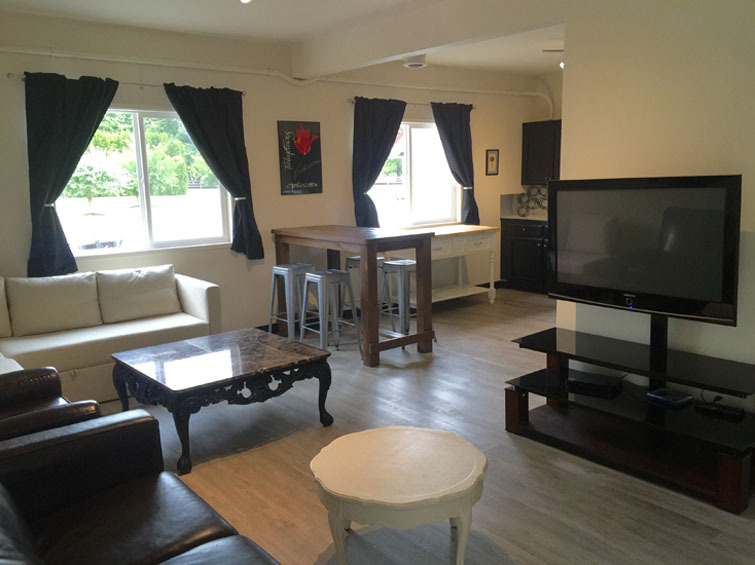 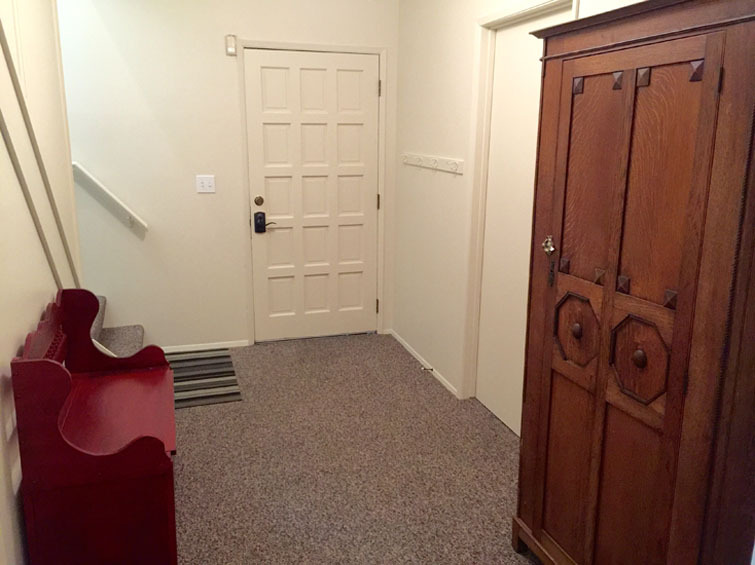 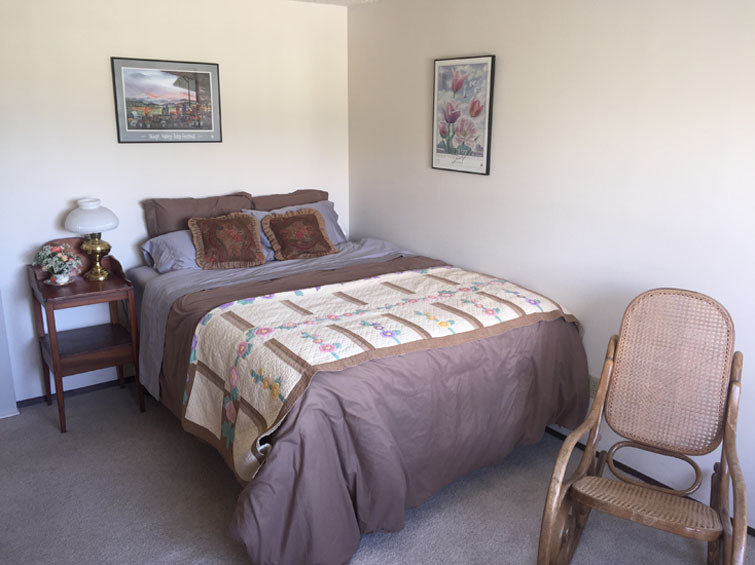 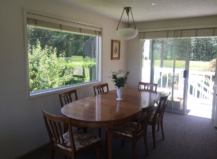 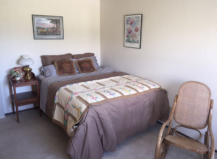 Our newly remodeled and furnished Guest House was offered for rent for the first time in June of 2016. 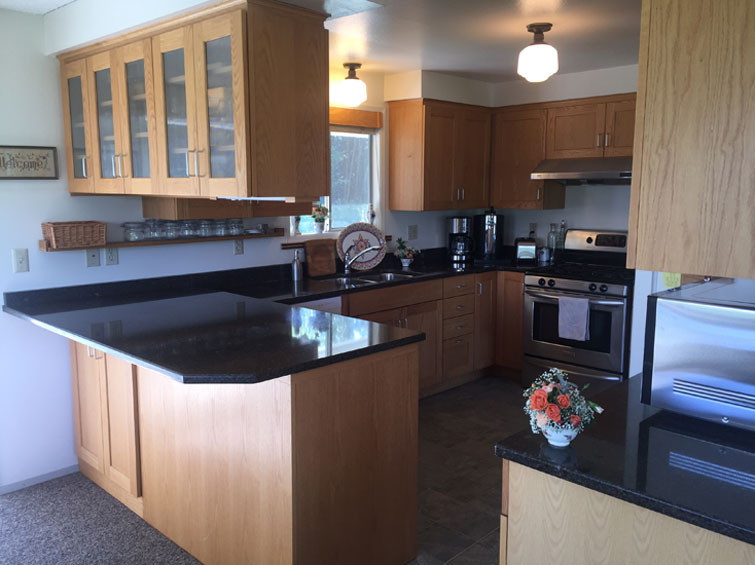 The 5-bedroom, 2-bathroom home, includes 2 kitchens and 2 living rooms and can sleep up to 12 guests. The house can be rented as a whole, or the top and bottom floors can be rented separately. 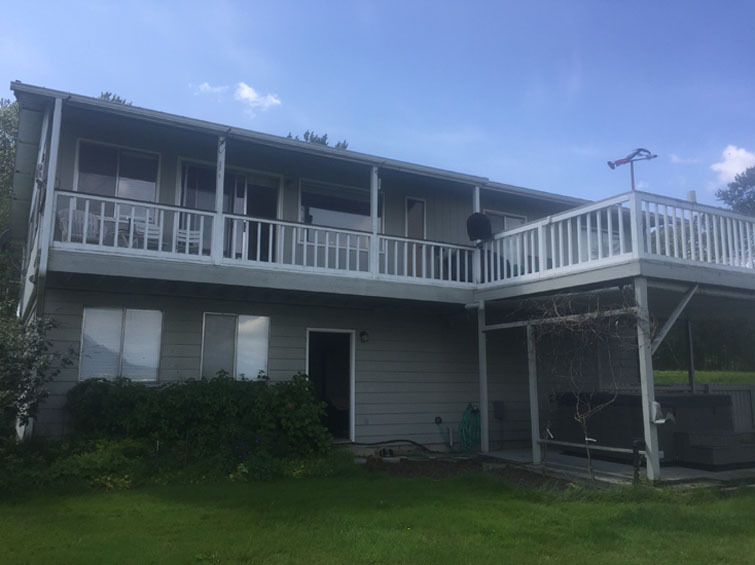 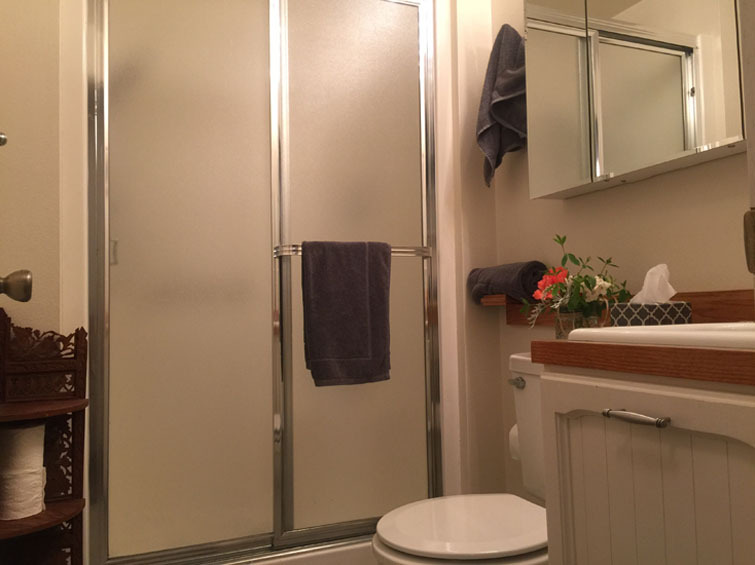 The top floor sleeps up to 6 guests with 3 bedrooms (1 king bed & 2 queen beds), a spacious living room, kitchen, full bathroom/laundry room, and 2 large decks with stunning views of Mount Baker, Little Mountain, the Skagit Valley, surrounding farmland, and the Skagit River dike and trees. 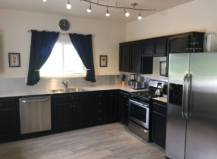 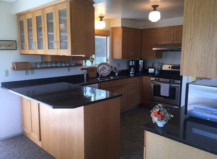 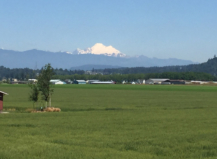 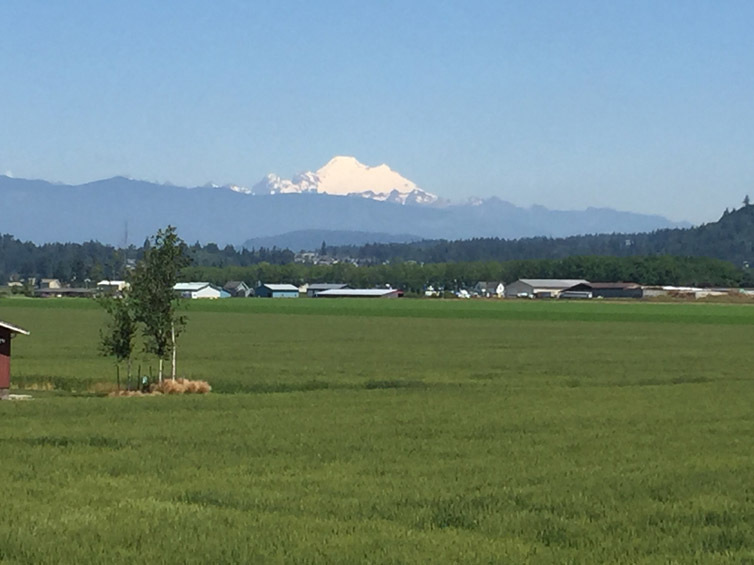 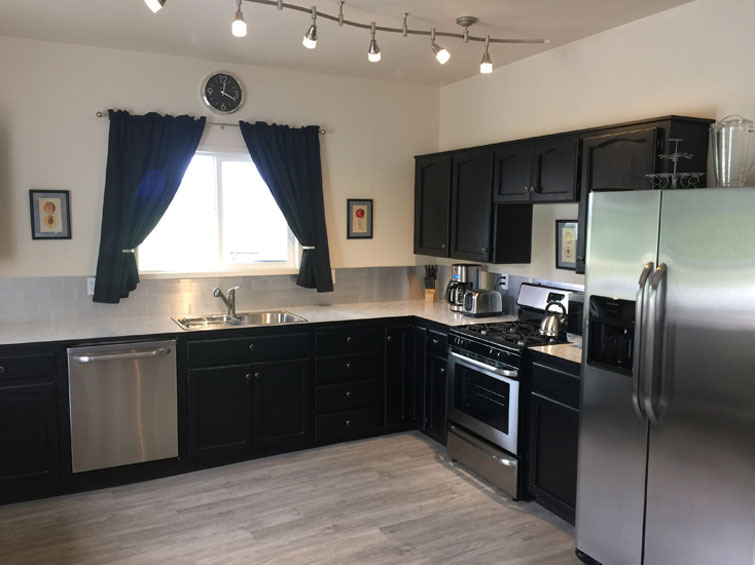 The ground floor sleeps up to six guests with 2 bedrooms (1 king bed & 2 twins), a living room (with full size sleeper sofa), kitchen, full bathroom, laundry room, featuring sweeping views of Mount Baker, Little Mountain and the surrounding Skagit Valley farmland. 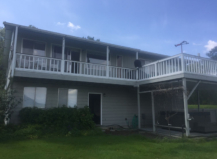 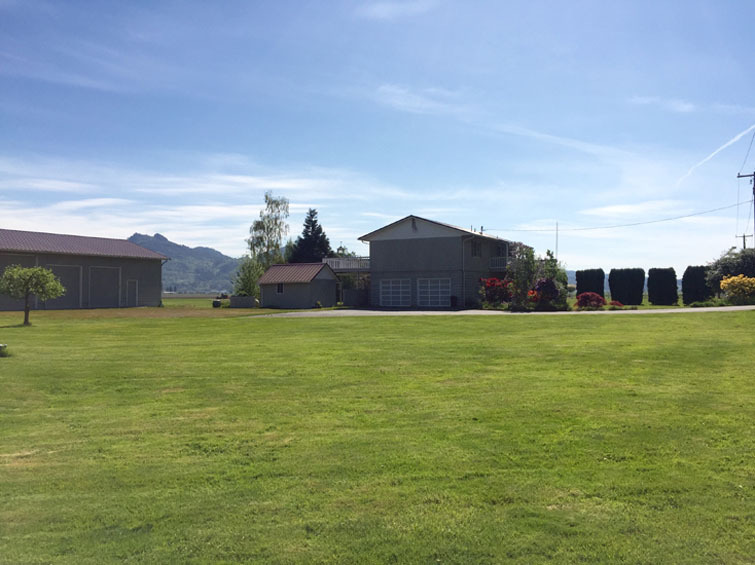 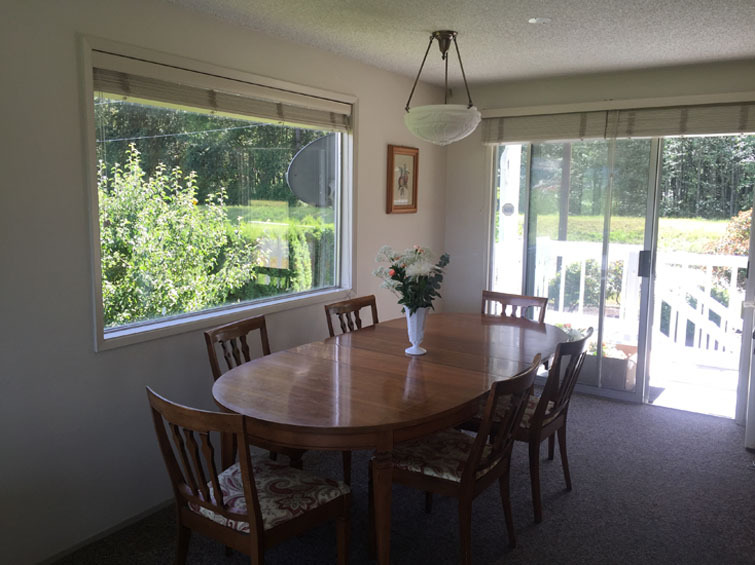 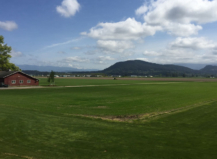 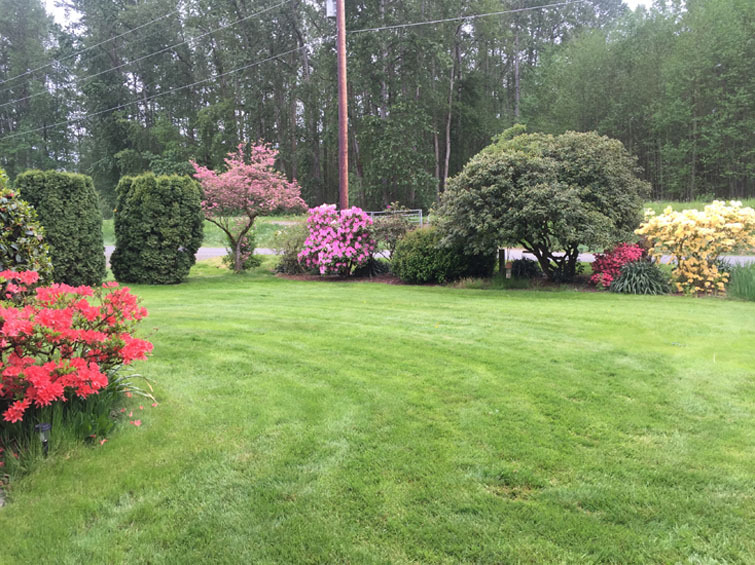 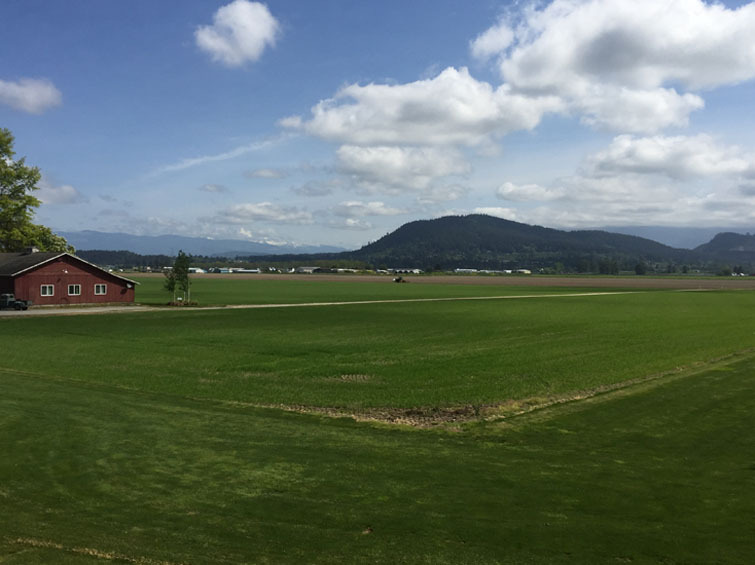 The 1.25 acre property is perfect for rehearsal dinners, family gatherings, corporate retreats, yard games, outdoor dining, bird watching and taking in beautiful sunsets over the Skagit River bank. 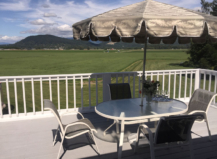 Our 6 person Beachcomber hot tub is a wonderful place to unwind and relax with family or friends. We charge an additional $50/night for an RV to park at the Guest House property. 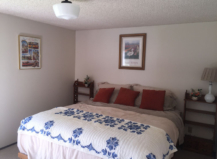 Book directly through us for the lowest rate! 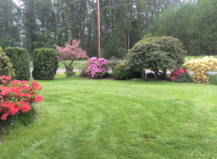 Email guest@maplehurstweddings.com or call Jeff at (360) 319-8924.